With the ever-changing world of the internet it can seem frustrating to try to keep up with what’s new. The problem is that the importance of social media networking campaigns are an essential part of your business these days. If they aren’t an essential part of your business, they should be. So now that you finally got your business involved on Facebook, Twitter and YouTube, it is time to look at what other approaches already exist and what new ones are coming on the scene. Pinterest is one of those sites that are rising in popularity. 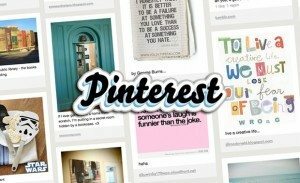 To understand what Pinterest is, think of it as a pinup board in which your share your interests online. In other words, you pin your interests. The things people find to “pin up” online also come from online sources. So, whether someone wants to stick with a wedding day theme or their favorite handcrafted art, they “pin up” what they find for these topics. Like Twitter or Facebook, members can have followers who may also share things they like. From photos and images to quotes or recipes, one person pins it and others can share. Members share, followers can re-share and all of these pinned items have the potential to be viewed by a large number of people. According to a recent report, well over 700,000 users like Pinterest on Facebook. In fact, by measuring page views between July and October of last year, views had increased by 2,000 percent. These numbers are only expected to continue to climb even as the competition with social media sites grows. Though it may take more work for sites such as this to take hold now, once they do they pretty much establish themselves as part of a person’s lifestyle and daily routine. From an SEO standpoint, Pinterest makes the most sense for products that appeal to its largest demographic, women. If your product ties into food, fashion, DIY, travel, home décor or weddings, and can easily fit into giveaways, it could be a great opportunity for your company. Just as Twitter is different from Facebook, Pinterest is different from both of these. One of the primary aspects that set Pinterest apart from other social image bookmarking services is that their unique approach in how the images are presented to the user. Making it simple and easy to make very attractive presentations of shareable content. It maximizes layout efficiency without sacrificing image quality. Each of the most popular social media networking sites is popular for its own reasons and has a distinct individuality. So what are some of the features that make Pinterest unique? For one thing, a feature of Pinterest is the invitation only use. You can also view or locate boards based on a subject, topic or theme. There are of course some similarities too. For example, Pinterest is free to use. Like retweets on Twitter or sharing on Facebook, members can “repin” someone else’s items to your board. You can also leave comments as well as follow someone, just like on Facebook or Twitter. The main unique point of Pinterest when compared to other social media networking sites is that it is strictly visual. Where Twitter is strictly verbal and Facebook is a blend, Pinterest relies on visual snippets. It is sort of the “picture book” version of the social networking sites. At present, Pinterest attracts a predominately female user base, but with time that will surely begin to change, just as Facebook was once geared towards a strictly younger crowd. ← Can List Segmentation Improve Your Lead Nurturing Program?